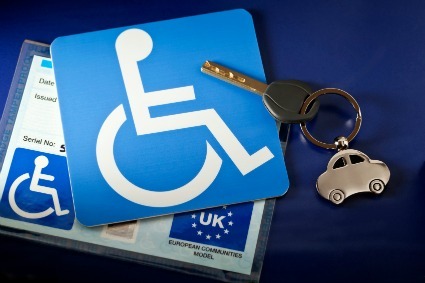 The Blue Badge Scheme is for children and adults with severe mobility problems. It allows them to park close to their destination. Apply through your local authority (there is a small fee) or online. To obtain a discount on the London Congestion charge register with Transport for London at least 10 days before your journey. For Blue Badge holder travelling abroad this useful map provides links to disabled parking concessions in other EU countries. Northern Ireland - free travel for blind, over 60's (all of Ireland) and war disabled, half price fare for learning disabled, partially sighted, those receiving the mobility component of the Disability Living Allowance, and those refused a driving license on medical grounds. Available for £20 a year (£54 for 3 years) to those on disability related benefits, registered deaf or use a hearing aid, registered visually impaired or have epilepsy. National Express offers a Disabled Coachcard for anyone registered with a disability. The card costs £10 to purchase and lasts for a year. It can save 1/3 of the cost of standard price tickets and can be used at peak and non peak travel times. The majority of coaches have a passenger lift at the front of the coach but do let them know if you are a wheelchair user or have reduced mobility. If you receive Disability Living Allowance contact the Disability Allowance Unit on 0845 712 3456 and ask for leaflet DLA 403 and an application form. Users of the Motability Scheme will receive their tax disc direct from Motability and do not need to apply for the exemption.